Rabbi of Ostropol, Russia, in the eighteenth century. 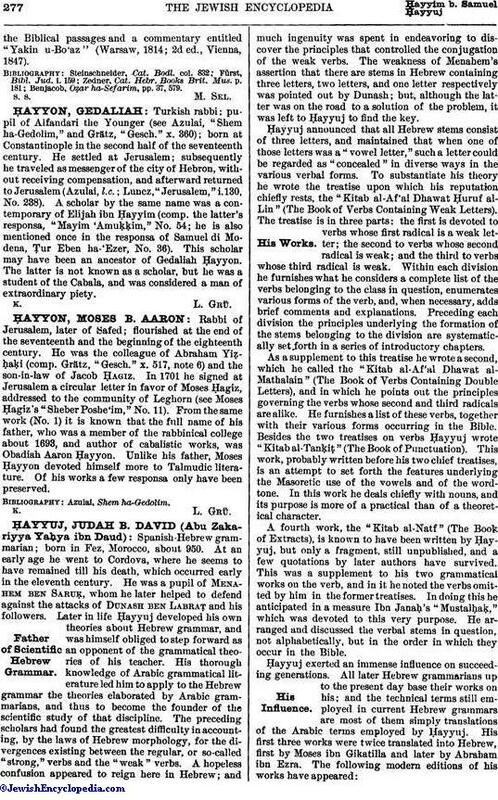 He was the author of "Elef Omer," a collection of sayings beginning with "aleph," and based on the "Beḥinat 'Olam" of Jedaiah Bedersi (Grodno, 1795), and "Shirah le-Ḥayyim," "azharot" of the 613 commandments, each verse beginning with a word in the second song of Moses (Deut. xxxii. 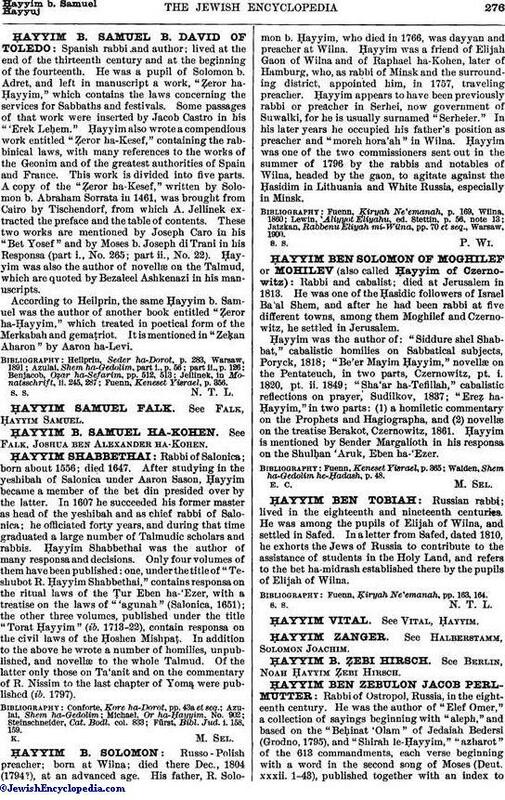 1-43), published together with an index tothe Biblical passages and a commentary entitled "Yakin u-Bo'az" (Warsaw, 1814; 2d ed., Vienna, 1847). Benjacob, Oẓar ha-Sefarim, pp. 37, 579.